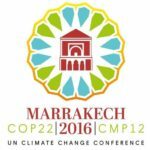 COP22 was a UN conference on climate change held in Marrakesh (Morocco) 7-18 November 2016. All countries who have signed the United Nations Framework Convention on Climate Change (UNFCCC) meet annually to negotiate further action. 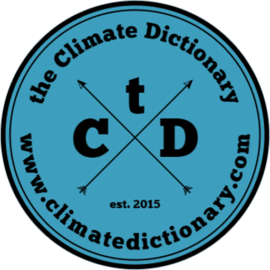 In 2015 COP21 took place in Paris, where the Paris Agreement was decided. In 2017 COP23 will take place in Bonn, Germany, under the presidency of Fiji. 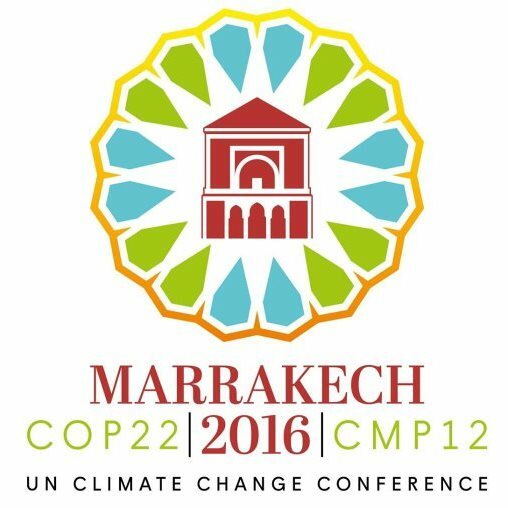 The results of COP22 were among others the Marrakech Action Proclamation and the Marrakech Vision. The logotype of COP22 consists of the Menara monument in the middle of a traditional mosaic pattern (Zellige), where the colors blue, green, red and yellow symbolize the four elements water, earth, air and fire. For general information about the type of meeting, COP, see this word.